[SEO Of The Present] is a new generation of SEO that has been developed with complete compliance to search engine standards. That means playing by the rules and avoiding search engine penalties like the plague, all while making sure a website gets an increase in ROI through higher traffic and more sales. With [SEO of the past] success is measured with rankings. With [SEO of the present] success is measured using traffic, ROI and many other Key Performance Indicators. So what does [SEO of the past] consist of? Using only a few keywords. 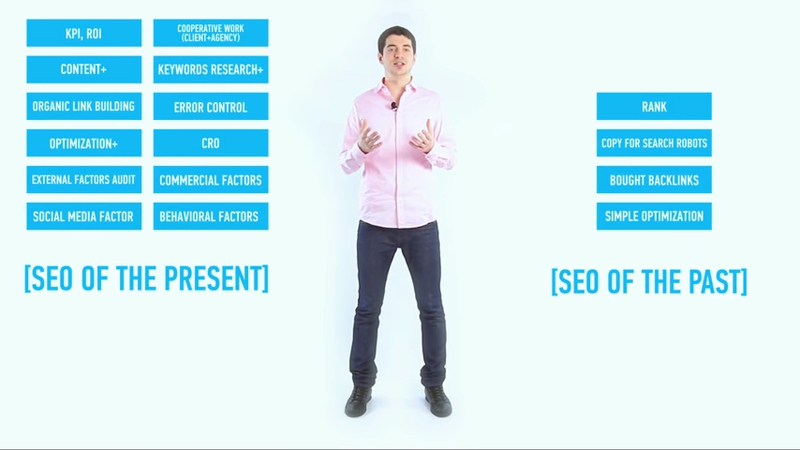 Writing SEO-focused copy based on these keywords. Performing some minor on-site optimization using SEO scripts. 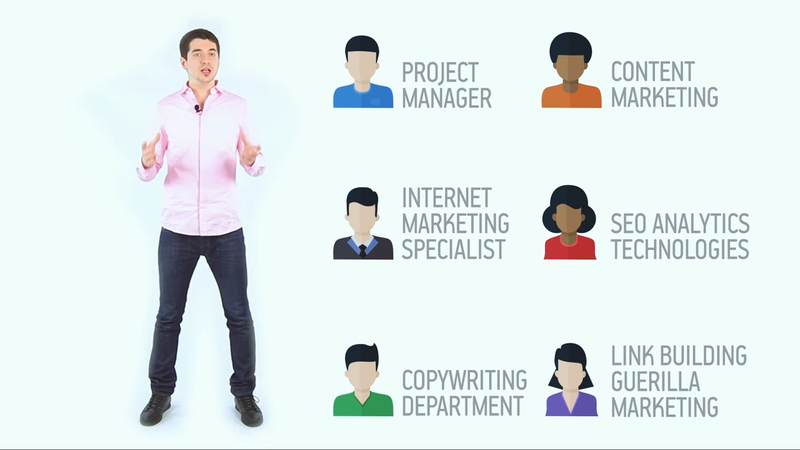 Automating off-site optimization | text on the video => (buying backlinks). Core enhancement: refining website structure and creating targeted page. Working with content factors Such as paving the right direction for content improvement and increasing targeted page relevance for search queries. Lessening the technical problems on the website and fixing them. Working with consumer behavior factors. Working with social factors and social signals. A deep web-analysis system based on KPI and ROI factors. And of course: 10. Conversion Rate Optimization. 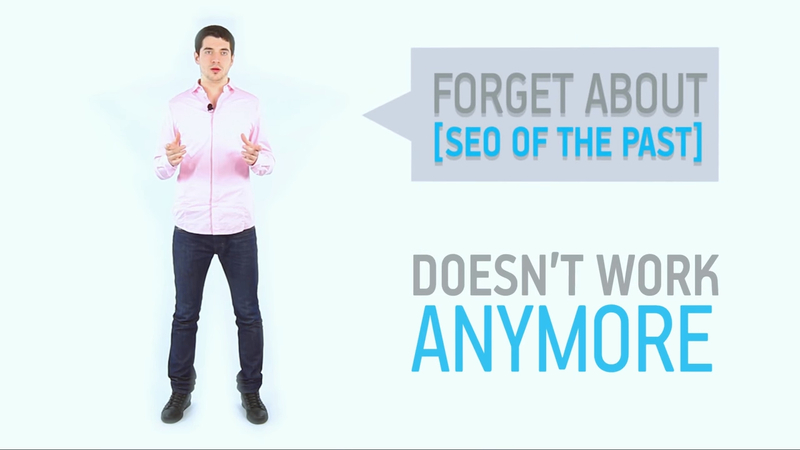 Forget about SEO of the past. It doesn’t work anymore. Search engines are a new, civilized world in which you should properly behave. It is impossible to survive alone in a new world. This applies more to SEO than ever before. the web developer and the client. Very important: One team won’t be able to make progress without the other. Once again. anything negative you’ve heard about SEO is based around the methods of SEO of the past. SEO of the present is focused on bringing you results and most importantly, it’s about bringing sales from your website!